I just checked out Logitech’s survey that reveals 56% of children are “frequently mishandling mobile devices.” That’s a nicer way of saying they’re dropping them down the stairs, grabbing them from your hands and accidentally pushing them off counter tops. No surprise to parents, right? Now that my kids have use of an iPad Air 2 to play with (as opposed to the much older cracked-screen iPad they were using before), I’m much more cognizant of the type of protection that encases it. Kids tend to drop things, after all. 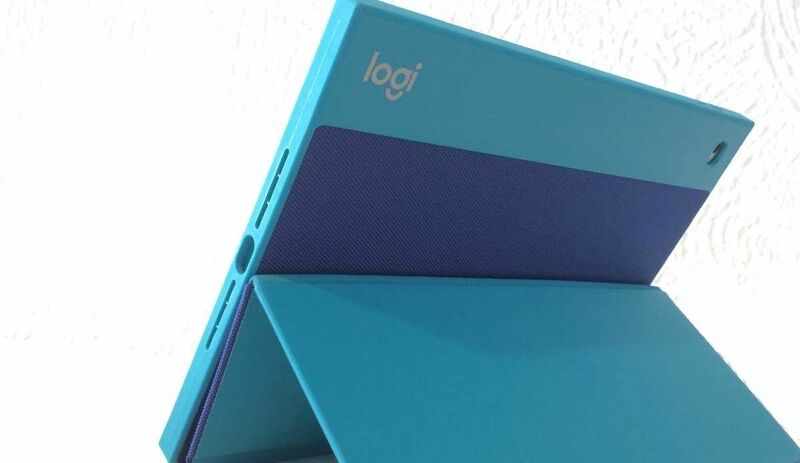 And thanks to one of our favorite brands, I can now add the line of Logitech BLOK protective iPad cases to my list of go-to cases when it comes to keeping gadgets safe. Although I admittedly didn’t take the risk of testing the cases’s protects from drops up to six feet, even on concrete claim with my own iPad (as much as I love you guys), it’s clear just from looking at it. The protective case is built with an all around tough rubber, and includes shock-absorbing corners. Even the screen cover is liquid repellant, so I think you’ll feel protected from every angle. And while the protection factor is the most important thing for parents, the BLOK case does have some handy functionality when it’s in use as a stand. The sturdy kickstand kind of clicks into place, giving you whatever angle you need, whether you’re lying on the floor, hanging on the couch, or sitting in the car. No annoying floppy back that keeps collapsing while your kids are trying to watch a movie. In lieu of locking them in the closet (our iPads, not our kids), we probably can’t completely stop them from accidentally dropping or mishandling the expensive gadgets that we loan them to play with. But at least with the BLOK on, I’m breathing a sigh of relief any time it does happen. As it will. 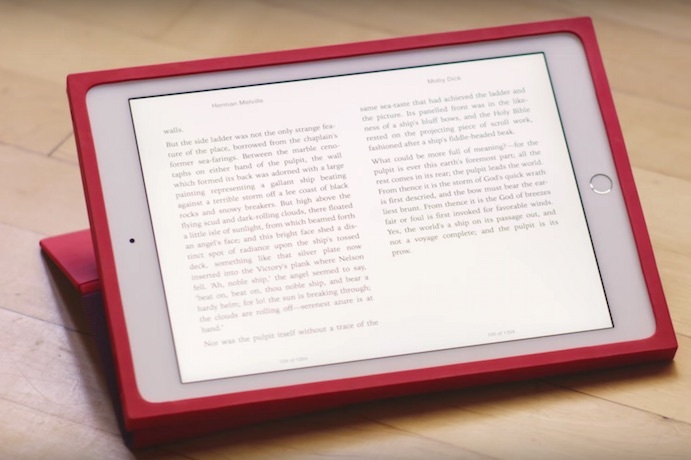 Find the Logitech BLOK protective iPad case at our affiliate amazon in 3 colors for $59.99. You can also find the BLOK shell for iPad Mini ($31) and a handy BLOCK protective keyboard case for iPad Air 2 ($99.99). Find out more at the Logitech website and thanks to the company for sending us a unit to test out.